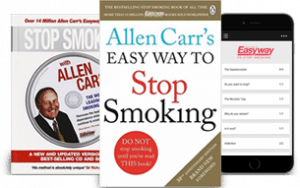 Allen Carr’s Easyway method will enable you to lose weight easily, painlessly and without the need for willpower. Find the right programme for you from our convenient on-demand services which allow you to stream videos so you can watch them where you want and when you want to our books. Our weight loss programmes are designed to help you lose weight and then control your weight. Lose weight and feel slim with Allen Carr’s Easyway. Our on-demand online video programme enables you to use the method when you want, where you want. If you have been successful using the method we would love to hear from you. How about leaving a written or video testimonial to inspire other to freedom?